"Our findings provide preliminary evidence of common and specific gray matter changes in MDD and SAD patients." In the United States alone, millions of adults struggle with major depressive disorder (MDD), commonly known as depression. In 2012 alone, 16 million suffered at least one major depressive episode. At the same time, social anxiety disorder (SAD) affects roughly 15 million adults in the U.S. One new study aims to further our understanding of these disorders by highlighting a pattern of structural brain abnormalities in people with depression and social anxiety. The researchers will present the new study this week at the annual meeting of the Radiological Society of North America (RSNA). There are clinical similarities and ties between depression and anxiety, and it is not unheard of for people to suffer from both MDD and SAD. The conditions even share a fair number of clinical symptoms. However, there has been very little direct comparison of brain structure in individuals with MDD and SAD, according to the author of the new study, Dr. Youjin Zhao from Sichuan University in Chengdu, China. Zhao and her co-author, Dr. Su Lui, worked together to better observe the structural differences and commonalities in the brain. 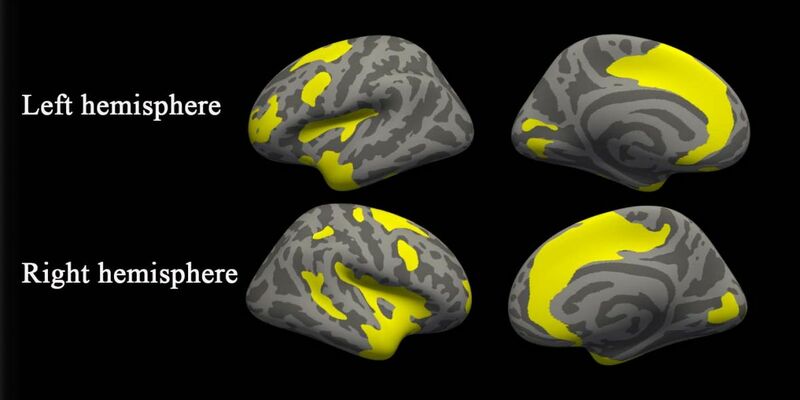 Using MRI, they were able to see brain abnormalities in grey matter and assess the thickness of the cortex. The study used images from 37 MDD patients, 24 SAD patients, and 41 healthy control individuals. Zhao acknowledged that this is not yet enough data to make overarching conclusions or begin to develop treatments and applications. Within both the MDD and SAD patients, the team observed gray matter abnormalities in the brain’s salience and dorsal attention networks. These networks allow us to focus, and determine what requires our attention. They also observed varied cortical thicknesses, which “may reflect a compensatory mechanism that is related to inflammation or other aspects of the pathophysiology,” Zhao explained. The researchers’ other observations seem to suggest that these two disorders are structurally much more similar than could previously be proven.